Safety First - Anchorage Downtown Partnership, Ltd.
Anchorage Downtown Partnership, Ltd. and EasyPark have combined forces to launch a strategic approach to improve public safety in downtown Anchorage and to maximize the security resources in downtown Anchorage. The “Safety First” program features calling or texting the number (907) 297-4471 for all safety and clean services in downtown Anchorage. 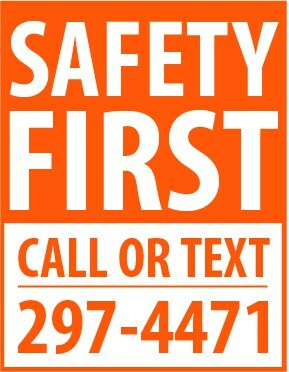 The “Safety First” call number is open for use to anyone who is in need of assistance in downtown Anchorage. Call or text (907) 297-4471 for services that cover safety assistance, disorderly/suspicious behavior, panhandling or other nuisance behavior, public drinking/inebriates, suspicion of drug dealing or drug use. Calls can also be made about graffiti, removing trash, sidewalk cleaning, or other clean up calls in downtown Anchorage. “Safety First” is a 24-hour call line manned by EasyPark and dispatched to Anchorage Downtown Partnership, Ltd. Security and Maintenance Ambassadors during the hours of 5am to 9pm, 7 days a week. The “Safety First” program covers the Downtown Improvement District (DID) that runs from 9th Avenue to 1st Avenue and from Gambell to L Street. Since May 2016, Anchorage Downtown Partnership, Ltd. and EasyPark have collaborated to enhance and complement the Anchorage Police Department. 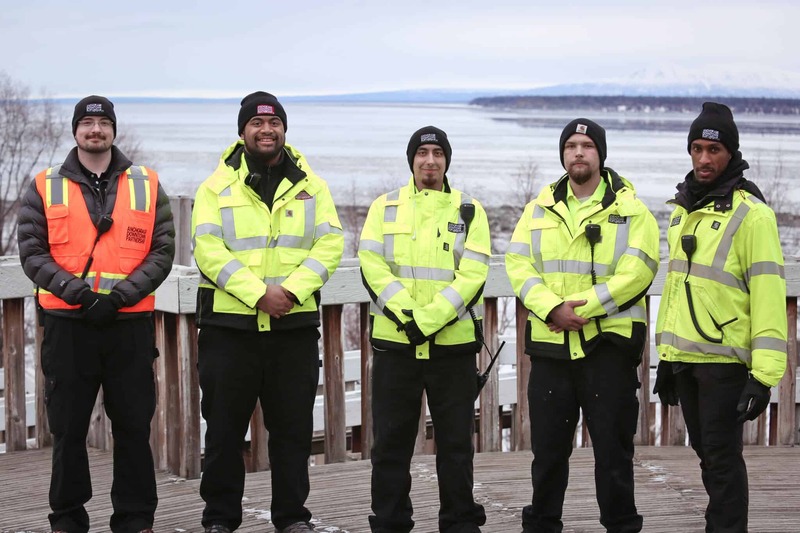 Since 1996, Anchorage Downtown Partnership, Ltd.’s Security Ambassadors have been the extra set of “eyes and ears” for law enforcement, downtown property, residents, and businesses in downtown Anchorage owners within the DID. EasyPark’s parking staff have now joined forces with Anchorage Downtown Partnership, Ltd. to maximize their efforts. This increases the covered areas for services needed and also creates a more unified security front through collaboration, coordination and increased response time. Downtown businesses within the DID will receive a “Safety First” window sticker for their business window with the 297-4471 number on it to encourage their customers and employees to use the number when needed. EasyPark at (907) 276-7275 (Park) or visit easyparkalaska.com for news updates about this and other new programs. Anchorage Downtown Partnership, Ltd. at (907) 279-5650, and follow or visit www.anchoragedowntown.org for news updates. EasyPark is the brand name of the parking services operated by Anchorage Community Development Authority (ACDA). ACDA is a public corporate authority for the Municipality of Anchorage. ACDA’s parking division, EasyPark, manages more than 6,000 parking spaces in downtown Anchorage.